3.375″ wide x 6.5″ deep x 10.5″ high/tall Los Angeles Hollow Back Mission Corbel. All wood products are unfinished.In Stock. 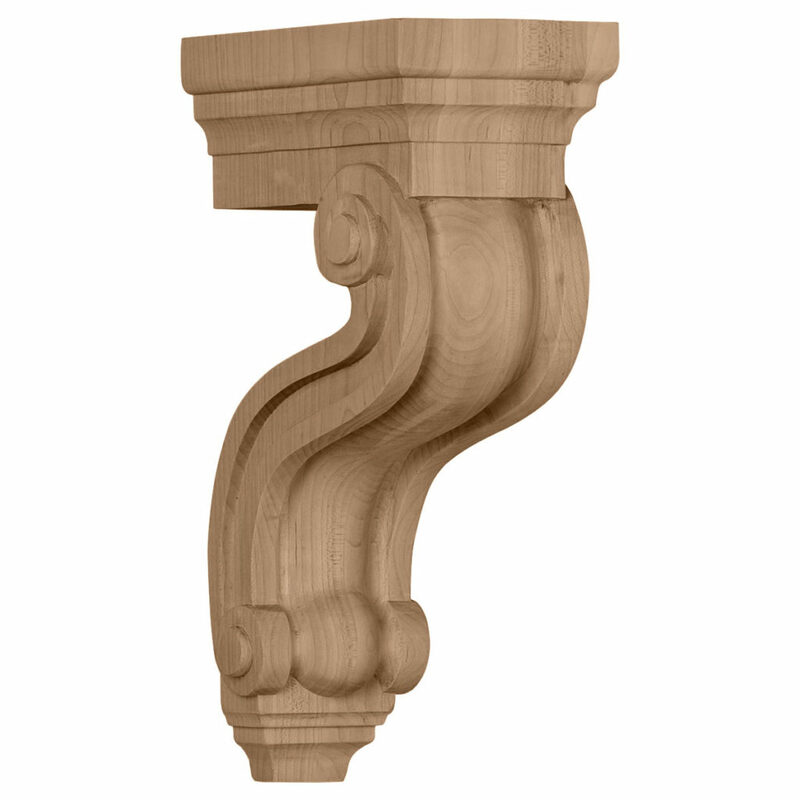 Ships within 24 – 72 hours of order placement.Enjoy the warmth and beauty of carved wood corbels.With the proper installation, these wood brackets can support up to 250lbs., which gives you the flexibility to use a decorative bracket for support.Perfect for counter top or shelf support, but can be used on mantels, range hoods, and more.Available in a variety of species, these brackets ship to you fully sanded and ready for your paint or stain.